View The Obituary For Vernon David Steinert. Please join us in Loving, Sharing and Memorializing Vernon David Steinert on this permanent online memorial presented by Bryant Funeral Home and Nicholson-Ricke Funeral Home. View The Obituary For Steven Wayne Robb. Please join us in Loving, Sharing and Memorializing Steven Wayne Robb on this permanent online memorial presented by Barnett Family Funeral Home. View The Obituary For FRANK DISALVO. Please join us in Loving, Sharing and Memorializing FRANK DISALVO on this permanent online memorial presented by Baker Funeral Home Valley Center. View The Obituary For DAVID S. TAYLOR. Please join us in Loving, Sharing and Memorializing DAVID S. TAYLOR on this permanent online memorial presented by Baker Funeral Home Valley Center. View The Obituary For PAMELA (ROWELL) STEVENS. Please join us in Loving, Sharing and Memorializing PAMELA (ROWELL) STEVENS on this permanent online memorial presented by Baker Funeral Home Valley Center. View The Obituary For Joan Johnson. Please join us in Loving, Sharing and Memorializing Joan Johnson on this permanent online memorial presented by Miles Funeral Service. View The Obituary For Ryan Eugene McCaslin. Please join us in Loving, Sharing and Memorializing Ryan Eugene McCaslin on this permanent online memorial presented by Prairie Rose Funeral Homes. View The Obituary For Norman W. Grauer. Please join us in Loving, Sharing and Memorializing Norman W. Grauer on this permanent online memorial presented by Kinsley Mortuary, Padden Funeral Chapel, Hanover Mortuary & Axtell-Landreth Funeral Home. 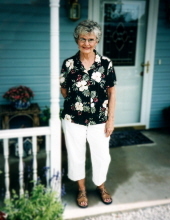 View The Obituary For Wilma A Arnett. Please join us in Loving, Sharing and Memorializing Wilma A Arnett on this permanent online memorial presented by Prairie Rose Funeral Homes. View The Obituary For Donald Lynn Ohlemeier. Please join us in Loving, Sharing and Memorializing Donald Lynn Ohlemeier on this permanent online memorial presented by Bryant Funeral Home and Nicholson-Ricke Funeral Home. View The Obituary For Lewis E. Gilbreath. Please join us in Loving, Sharing and Memorializing Lewis E. Gilbreath on this permanent online memorial presented by Miles Funeral Service. View The Obituary For Alta M. Gordon. Please join us in Loving, Sharing and Memorializing Alta M. Gordon on this permanent online memorial presented by Miles Funeral Service.